Can you End the Never-Ending War? Challenging, tactical, engaging and above all, drawn from reality, this is strategy gaming at is most intelligent. 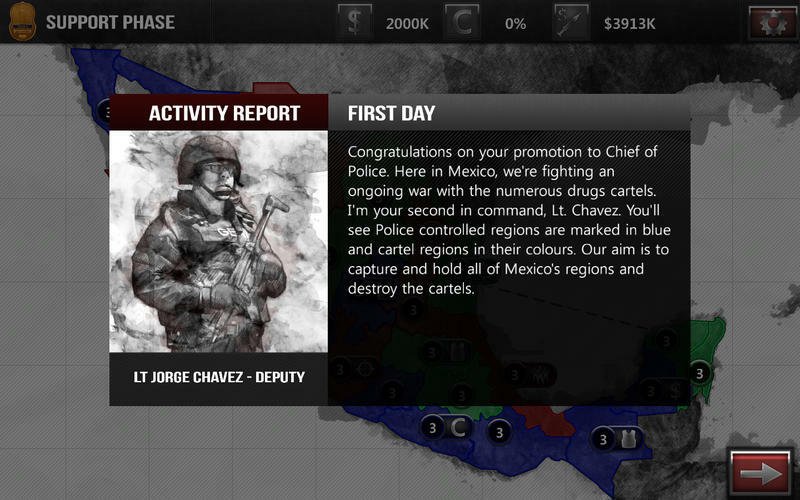 NarcoGuerra puts you in the frontline of one of the most dangerous conflicts ever. From the acclaimed creators of Endgame:Syria, described as "…oozes quite some quality and is actually fun to play… with this unique gamification approach, it will make more people aware of what is happening today…" (GamesWarp.com), this game challenges you to fight in the War on Drugs.